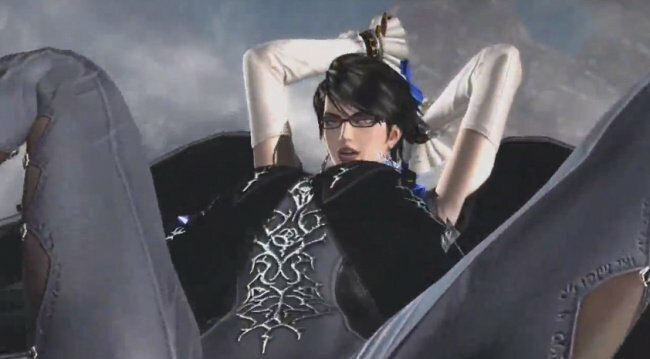 Nintendo has revealed gameplay footage from Platinum Games' forthcoming Wii U exclusive Bayonetta 2. As you can see from the trailer below, the game is looking pretty special indeed, but perhaps the biggest news is that Bayonetta is sporting a rather fetching new hairstyle. (Yes, we are being sarcastic). Check out the footage and let us know what you think of the game — and the lead character's new hair, of course — by leaving a comment. Yeah, Iwata even made a joke about her having clothes now, so I thought that was pretty funny that he acknowledged the fact she won't be running around naked anymore. Though if this is a sequel (as opposed to a prequel) she does undergo some typical JRPG changes during the game so her deciding to wear clothes could just be part of her characters maturation. Along w/ the haircut. I think this was the first video that made me happy Nintendo has a home console, up until then all the games looked playable on the 3DS. Very excited for this game. Nice hair Bayonetta, maybe you will win a game award with hair like that. I would love to see this come out in 2013... Looking like 2014, though. 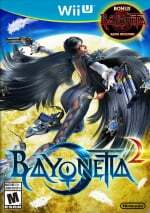 Bayonetta is one of my favorite games ever. Game looking awesome Can't wait for this to come out! Oh my. What exactly is going on in that picture? She is getting ready to destroy the villain with her guns? Damn! Too bad this isn't being released this year. Can't wait! Looks like they updated her behind as well. When Bayonetta gains weight, it only affects her booty. If I'm not mistaken I believe that's bayonetta's kid at the end. Ahw, I liked her hair in the first game better... the first game that, by the way, I'm not going to be able to play anytime soon unless you port it to the eShop. Looks great to me, can't wait for it. Will be picking this one up hopefully alongside Super Smash Bros. and X next year. And the new hair is good. The new hairstyle looks excellent. I think this game will surpass its predecessor. Looks smart and beautiful. Well done, Platinum. Finally some awesome hack and slash type game. @Chuckie-Doll The fact that it's better than the Sarah Pallin look. Nice, the game looks good. I like her hair better in the first game though. @demonta4 Yes it does. So does X. All these games look fabulous. Many 3rd parties are bashing the Wii U for not being next-gen are just talking without looking properly. I think it's beautiful; It suits her character more than the original 'do.